Putting together the perfect look? 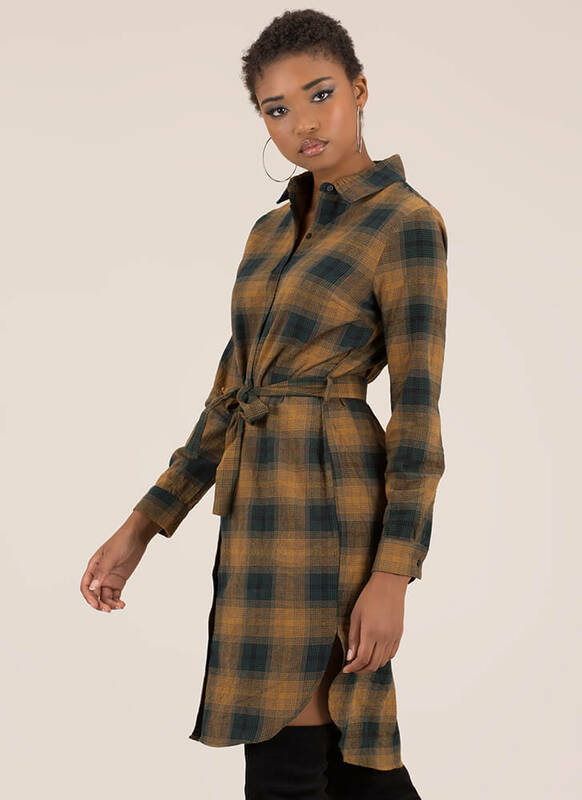 Well, start with plaid and you're halfway there. 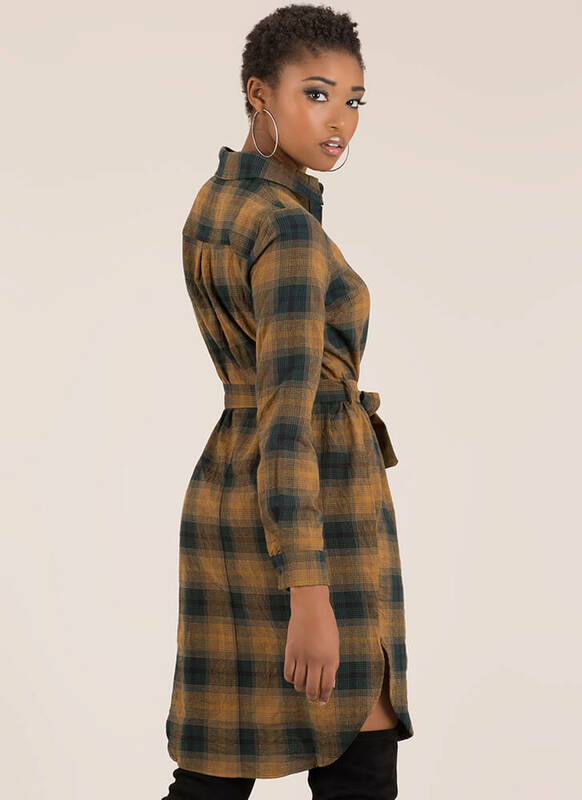 Non-stretchy, long-sleeved, collared cotton shirt dress features a button-up front, an allover plaid print, and a matching self-tie waist sash for a belted look. Dress is finished with buttoned wrists and a rounded hem with notched sides. Pattern placement may vary.